Two colour chequered windsocks suitable for a variety of uses. Helpful in certain circumstances to stand out against industrial backgrounds. Available in black and white, red and white or orange and white. Please specify colour when ordering. Manufactured to order. 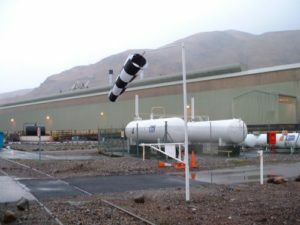 Price shown is added to the base price of the windsock to which the option is applied. Price £95.00 exc. VAT and Carriage. CALL US ON 01780 740644 we welcome Credit Card Payment. Alternatively place an email order and we will respond to process your purchase.